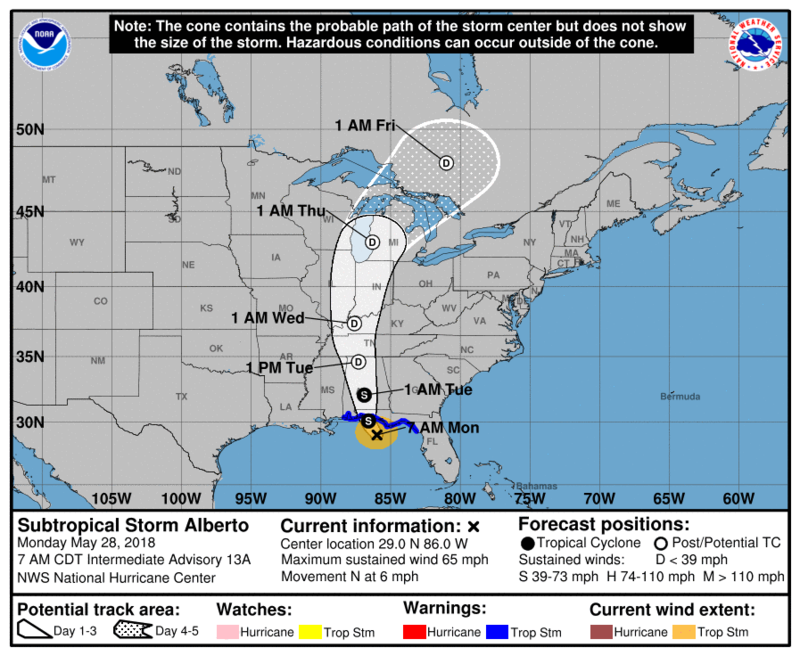 Subtropical Storm Alberto has maintained its current strength from last nights advisory. All indications show that the previous anticipation for a tropical transition has been eliminated. It has battled shear early on and now dry air has hindered the transition and has capped the overall strength of the storm. To be clear, the designation of a Subtropical Storm does not mean the storm is less of a threat than a Tropical Storm. Alberto is now forecast to make landfall along the Florida Panhandle later today. Heavy rain associated with mid-level energy associated with Alberto is beginning to make its way northward over southern portions of ENC. Radar estimates as of right now show some areas already receiving 1.50″ to over 2.00″ and more heavy rain is on the way. Forecast totals are still on track for 2.00″-4.00″ over the area with locally higher amounts. 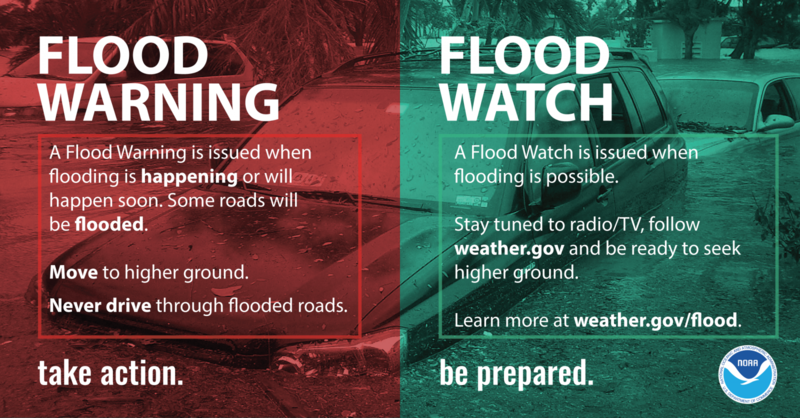 As a result, a Flash Flood Watch has been issued for most of ENC. 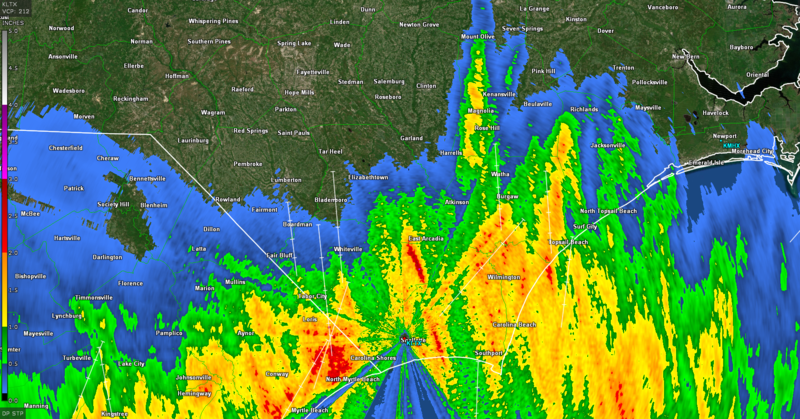 Radar estimates as of 9:00am.